For many years, the medical world has approached healing by finding ways around the human body. More recently, doctors and researchers are finding new ways to tap your body’s own incredible resources, including stem cells, and successfully working with your body. At Regional Pain Care Center in Allen, Texas, the team of doctors is discovering the power of regenerative medicine for faster healing and healthier tissue. To learn more about stem cell therapy, call or book an appointment online. Stem cells are a prime example of the power the human body exhibits. Most of the cells in our body are single-task, meaning they’re devoted to just one thing — your kidney cells tend to your kidneys while your skin cells are designed specifically for your skin. Stem cells, however, are undifferentiated. This means they are not devoted to any one single purpose. Instead, they have the incredible ability to be called into action, and they become whatever cell is needed for the job as they signal other stem cells to aid in the healing process. Your stem cells are strongest and most pliable during your embryonic development, but adults still have stem cells stashed around their bodies, lying in a dormant state until they are needed. The physicians at Regional Pain Care can harvest these stem cells from your body and direct them into injured areas to simulate and accelerate the healing processes your body already has in place. Some medical conditions may dictate the purchase of umbilical cord stem cells to optimize your treatment. 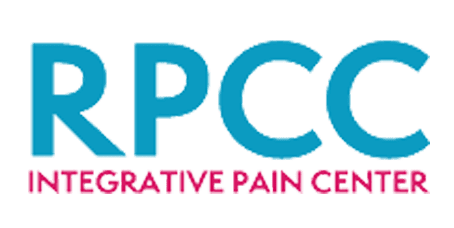 What conditions do the physicians at Regional Pain Care treat with stem cells? The physicians at Regional Pain Care can use your own stem cells for your treatment, or they can purchase umbilical cord stem cells to optimize and tailor your treatment to the specific disease that’s affecting you. During a sterile procedure, your physician removes a sample of your bone marrow and isolates the stem cells in a special centrifuge. The physician then re-injects the concentrate back into the area you want treated using fluoroscopic guidance for precision and accuracy. Once the stem cells are injected, they go to work triggering your body’s own regenerative process to heal the injured or affected tissue. Some diseases may require the purchase of umbilical cord cells to optimize and accelerate the treatment protocol. These cells are purchased, and when delivered, your physician injects them under sterile conditions into the affected tissue. To explore the world of stem cell therapy and how it might possibly benefit you, call Regional Pain Care Center, or use the online scheduler to book an appointment.